One of the biggest gains for Microsoft in the third calendar quarter in 2018 came from gaming -- where revenue jumped 44%. Xbox and related services jumped 36%, contributing to overall revenue for Microsoft’s first fiscal year quarter of $29.08 billion, up 19%. Revenue in the personal computing space, also linked to Xbox and Windows, rose 15% to $10.75 billion. Office productivity rose 19% to $9.77 and the cloud computing business Azure grew 76%. Advertising seemed to be the one segment that Microsoft was careful not to call out this quarter, although revenue from search advertising held steady sequentially. Amy Hood, chief financial officer at Microsoft, said during the earnings call that search revenue ex-TAC rose 17% -- driven by Bing’s growth, increasing volume in U.S. and international markets. In Surface, revenue grew 14%, driven by Surface Book 2 and Surface Go. Hood told analysts that Microsoft expects $31.9 billion to $32.7 billion in revenue in the fiscal second quarter -- which is the fourth quarter of the calendar year -- including a contribution from GitHub, an acquisition that has not yet closed. Microsoft did not provide many details, but performance marketing agency Merkle did. Spending for search ads on Bing, along with Yahoo ads, grew 7% in the third quarter of 2018 -- down from 11% growth a quarter earlier. Clicks grew 23% year-on-year (YoY), but the cost-per-click fell 13% as traffic shifted to mobile and as CPCs for the mobile segment itself fell on Bing. Marketers bought advertising on the Bing network, but spending grew a mere 7% across the Bing Ads and Yahoo Gemini platforms, down from 11% in the sequential quarter. Merkle attributes the “weak” spend partly to product ads cannibalizing buys for text ads -- particularly on mobile. 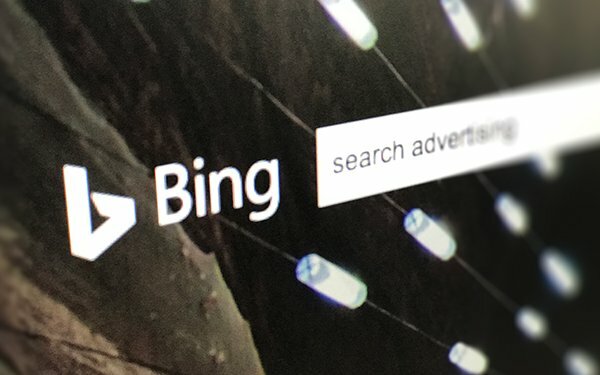 One important note was that among retailers, Bing Product Ads produced 61% of all non-brand Bing search ad clicks in the third quarter of 2018 -- up 22 points from a year earlier. This brings the conversation back to Raymond James Analyst Aaron Kessler’s visual search research report released Wednesday, and how images continue to take share from text ads. Merkle also mentioned that Bing Product Ads accelerated slightly to 42% YoY in the third calendar quarter of the year, but text ad-spending growth on Bing and Yahoo slowed to less than 1% YoY. Yahoo took the brunt of the decline. In the third quarter, Bing -- for the first time -- surpassed Yahoo Gemini in click share on mobile devices. Bing generated 39% of its search ad clicks from phones and tablets. Merkle attributed the increase to the rapid growth of Product Ads on phones.